It is no doubt that Filipinos are some of the most creative thinkers and hard-working individuals on this planet and the millions of Pinoys working abroad speaks volumes on how in-demand their services are. There are a lot of notable Filipinos who have made names for themselves with their acumen in terms of employing their intellect. Some are writers, engineers, doctors, teachers, and lawyers among others. In fact, there are Filipino scientists who have made great contributions to society and to all of humanity, like Robert del Rosario who has registered close to 30 inventions and is known for inventing the very popular pastime of Filipinos, the Karaoke machine, making him one of the most intellectually productive Pinoy inventors. One cannot forget also the contribution of Gregorio Y. Zara who received Distinguished Service Medal for his pioneering work and achievements in solar energy research, aeronautics and television. While the list could go on as far as their intellectual capacity is concerned, Chess Grandmaster Wesley So will always be part of that Pinoy henyo list. Filipinos are fun-loving individuals and one of their pastimes is the game of Chess. Even if they remain a basketball-crazed nation, there are also those who choose to use their intelligence on board games using skills and strategy such as the game of Chess. Chess tournaments are very common in the country and the best are usually sent abroad to participate in international tournaments and compete against foreign opponents. Chess requires a lot of mental strategy in order to win the game. Tournament games are given a time limit, and players may need to make a required number of moves in a certain amount of time. After making a move, a player presses a button on the time clock, stopping his time and starting his opponent’s time. The rules and the formula of the game might be quite confusing for amateurs but not to most of the Filipinos who are fond of the sport. A chess player can only distinguish himself among the best in the world once he gains the title of Grandmaster awarded by the World Chess Federation. Of all the millions of aspiring players all over the world, only a few have attained the title, a clear indication that you have to beat the best players of other countries to become part of the elite players in the world. World-class players are screened by the World Chess Federation based on their international rankings and individual achievements of the game. Once a Grandmaster title is awarded, it’s considered a lifetime achievement and up to the present, Grandmaster is the highest title a Chess player can have. The lastest Grandmaster in the Philippines who has been enjoying the limelight of being the best Chess specialist as of the present time is Wesley So. 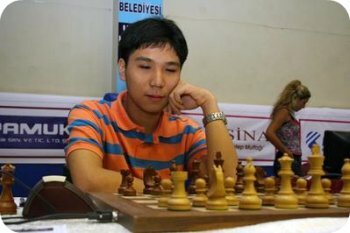 vWhile fellow Filipino Grandmaster Mark Callano Paragua became a Grandmaster at the age of 20, Wesley So broke his record when the chess prodigy achieved the title at the age of 14. Even before that achievement, So, who was then 12 years old, became the youngest Filipino International Master. In 2009, So surpassed the Elo rating of fellow Grandmaster Mark Paragua when he reached a rating of 2627 – a new Philippine record. So is currently the number 1 Chess player in the Philippines and ranked number 64 in the world.